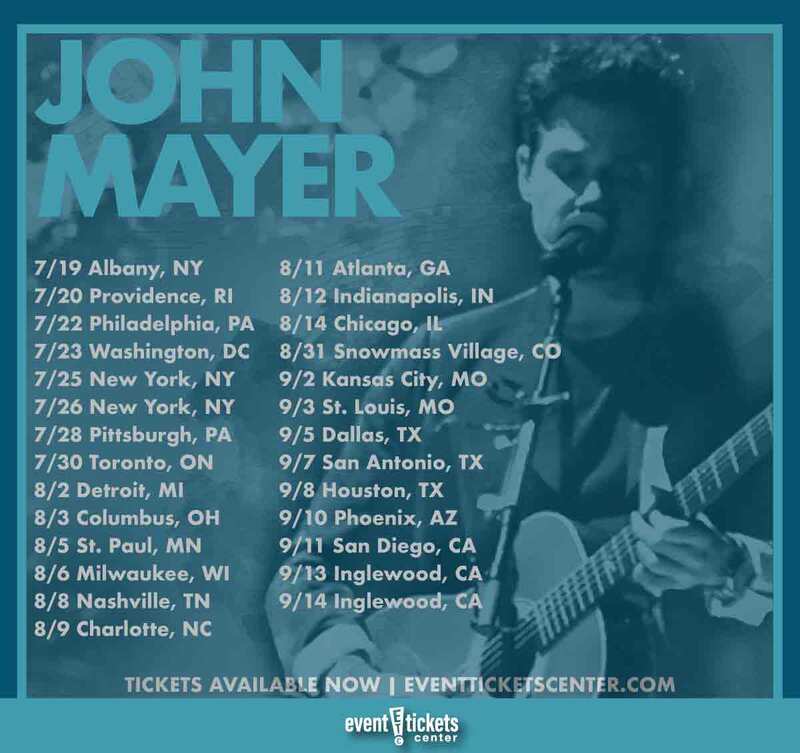 John Mayer has finally revealed North American dates for his upcoming solo world tour, bringing the Grammy-winning artist to stages across the US this summer! The 27-date North American leg kicks off July 19 at the Times Union Center in Albany, NY before setting out to hit cities including Philadelphia, Washington, DC, Nashville, and Phoenix. A final pair of back-to-back shows at The Forum in Inglewood, CA will wrap things up September 13-14. The tour will launch just two weeks after Dead & Company concludes their summer tour, where Mayer will be fronting the group alongside Grateful Dead members Bill Kreutzmann and Mickey Hart with Oteil Burbridge and Jeff Chimenti from May 31-July 6. Award-winning songwriter and guitarist John Mayer first emerged as a sensitive, acoustic-styled artist with the release of his debut album Room For Squares in 2001. The album peaked at the number nine spot on the Billboard 200, earning wide-spread critical acclaim and a Grammy Award for “Your Body Is a Wonderland,” setting the tone for what would be a long and rewarding career. Room For Squares went multi-platinum before the release of its follow-up Heavier Things in the fall of 2003. 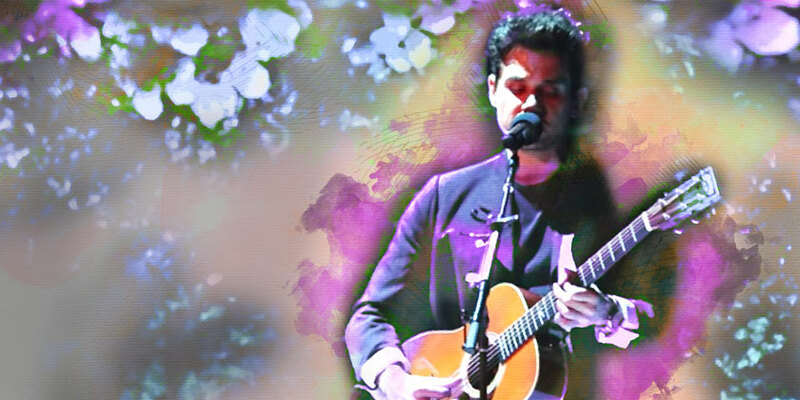 The album marked a slight shift in musical direction for Mayer, who has now become known for constantly retooling his style and exploring several genres with each release. In the years since his groundbreaking debut, Mayer has released five additional studio albums, including the Grammy-winning 2007 record Continuum and 2012’s Born and Raised, his first venture into country music. In 2014, Mayer developed an interest in the music of legendary rock group the Grateful Dead, ultimately joining forces with three of the band’s original members to form Dead & Company later that year. The group has enjoyed major success since their formation, touring annually since 2015. Mayer has explored a variety of secondary career pursuits over the years, most notably writing, comedy, and television hosting. His latest project, “Current Mood with John Mayer” is a 45-minute long talk show on Instagram Live, showcasing the songwriter’s comedic side and sharp wit. Filmed on Mayer’s iPhone in his living room, “Current Mood” draws several thousand viewers each Sunday night, featuring comedic bits, casual celebrity interviews (Halsey, Bob Saget, and Charlie Puth are just a few that have already made appearances so far), and musical performances by Mayer himself. “The show started as a way to fight my own loneliness, and maybe help some other people fight theirs,” he recently shared. Mayer has continued his reign over the charts throughout his 20+ year career. His combination of folk and blues paired with elements of jazz, country and pop has continued to resonate with audiences of all ages, selling well over 20 million albums worldwide. He remains one of the most versatile and popular artists to emerge in the new millennium. Where is John Mayer playing near me?